Ronald Reagan once said, “Freedom is a fragile thing and is never more than one generation away from extinction. It is not ours by inheritance; it must be fought for and defended constantly by each generation, for it comes only once to a people. Those who have known freedom and lost it, have never known it again.” Those words encapsulate the role of the Adam Smith Institute: it exists to fight for freedom, to defend it where necessary, and to extend it where possible. It is a task the Adam Smith Institute takes very seriously. The Adam Smith Institute is an independent libertarian, free market think tank that engineers policies to create a freer, more prosperous world. The flagship project of Americans for Tax Reform is the Taxpayer Protection Pledge, a written promise by legislators and candidates for office that commits them to oppose any effort to increase income taxes on individuals and businesses. Since ATR first sponsored the Pledge in 1986, hundreds of U.S. Representatives, more than fifty U.S. Senators and every successful Republican Presidential candidate have all signed the Pledge. In the 113th Congress, 219 U.S. Representatives and 41 U.S. Senators have taken the Pledge never to raise income taxes. Atlas Network’s vision is of a free, prosperous and peaceful world where limited governments defend the rule of law, private property and free markets. Atlas Network’s mission is to strengthen the worldwide freedom movement by cultivating a highly effective and expansive network that inspires and incentivizes all committed individuals and organizations to achieve lasting impact. Founded in 1977, Cato owes its name to Cato’s Letters, a series of essays published in 18th- century England that presented a vision of society free from excessive government power. Those essays inspired the architects of the American Revolution. Social and economic freedom is not just the best policy for a free people, it is the indispensable framework for the future. The German Taxpayers‘ Association was founded in 1949. It is a non-partisan, independent and non-profit organization with more 250,000 members, organized into 15 independent regional organizations. It cooperates with the German Taxpayer’s Institute (DSI). Every year in autumn the association publishes the Black Book of Public Waste. The Family Entrepreneurs – Freedom, Ownership, Competition and Responsibility. A strong voice of entrepreneurship. The organization represents 180,000 of family entrepreneurs in Germany, who employ 8 millions of people. As a representative of family entrepreneurs’ interests Die Familien Unternehner have been one of the most asked and demanded political adviser in the last years. It also emerged into important entrepreneurs’ network. The Foundation for Economic Education (FEE), one of the oldest free-market organizations in the United States, was founded in 1946 by Leonard E. Read to study and advance the freedom philosophy. During its long and illustrious history, FEE has published or hosted lectures by some of the finest minds of the modern age, including Ludwig von Mises, F.A. Hayek, Henry Hazlitt, Milton Friedman, James Buchanan, Vernon Smith, Israel Kirzner, Walter Williams, George Stigler, Frank Chodorov, John Chamberlain, F.A. “Baldy” Harper, William F. Buckley Jr., among many others. FEE’s mission is to inspire, educate and connect future leaders with the economic, ethical and legal principles of a free society. The Fraser Institute is an independent non-partisan research and educational organization based in Canada. 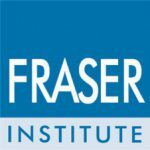 The Fraser Institute publishes peer-reviewed research into critical economic and public policy issues including taxation, government spending, health care, school performance, and trade. The Fraser Institute publishes research examining the effects of economics and public policy on society. Research published by the Institute contributes directly to improving the quality of life for people of all ages and income levels by exploring what policies will lead to greater prosperity and improved health for all levels of society. FreedomWorks was originally founded as Citizens for a Sound Economy in 1984. FreedomWorks was founded to fight for liberty and brought together some of the best and brightest minds of the liberty movement. Since then, we’ve expanded our ambitions from a free-market think tank to a service center for the grassroots freedom movement across the whole country. The Friedrich von Hayek Society is an association of people, who support classical liberal ideas of Frierich von Hayek. It was founded in 1998 in Freiburg and it has its headquarters in Berlin. Global Philanthropic was founded out of a commitment to spreading the power of philanthropy as a transformative force for good. We work with non-profit organisations and philanthropists around the world to help them fulfil their visions and dreams for a better world for all of us. The Friedrich A. v. Hayek Institut promotes the ideas of the Austrian School of Economics as a viable economic alternative in Austria and elsewhere not only by the means of a public think tank but also as an academic institution. Furthermore, the Institute, which is located in Vienna, takes up topical questions concerning economic and social politics and offers research and solutions on a scientific basis. It wants to improve the public understanding of the key economic questions to promote a free society. Heritage Foundation believes the principles and ideas of the American Founding are worth conserving and renewing, the most effective solutions are consistent with those ideas and principles. Heritage’s vision is to build an America where freedom, opportunity, prosperity, and civil society flourish.